Have you ever had difficulty finding toilets to use in Lewisham? Thanks to the new Lewisham Community Toilet scheme there will be more clean, safe and accessible toilets that are open to the public, at no cost, during normal office opening hours. 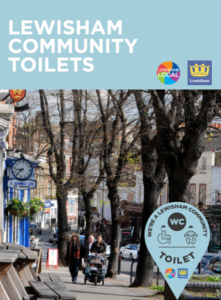 Members of Lewisham Community Toilet scheme include local businesses, cafés, community centres and libraries whose toilet facilities are available for you to use. Some offer wheelchair access and baby changing facilities. Lewisham Local has developed the scheme which has been commissioned by Lewisham Council. Lewisham Local encourages individuals, businesses and organisations to give their time, skills and money towards local good causes. 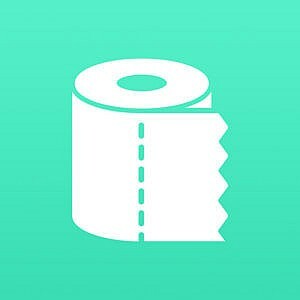 How do I find my nearest community toilet? 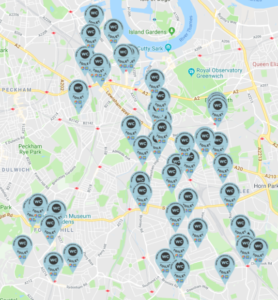 You can use the following options to find your nearest Lewisham Community Toilet. 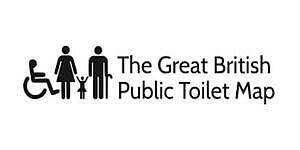 Members of Lewisham Community Toilet scheme will display the following window stickers in a clearly visible place. The stickers vary depending on whether the toilet includes disabled access and baby change facilities. Information about Lewisham Community Toilet scheme will also be available in libraries, doctors’ surgeries, health centres and community centres. Please find below other initiatives that provide information about publicly accessible toilets, including Lewisham Community Toilets. Will I need to buy something to use a community toilet? No, you don‘t need to make a purchase from any member of the Lewisham Community Toilet scheme to use their toilet facilities. Who can I ask if I have a question about Lewisham Community Toilets? Please email communitytoilets@lewishamlocal.com if you have a question. 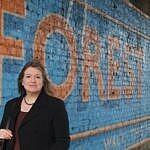 How can my business join Lewisham Community Toilets?